Disraeli said of Derby that ‘he abolished slavery, he educated Ireland, he reformed parliament’, but only the last of these was done when he was a Conservative Prime Minister. He is remembered mostly for the 1867 Reform Act, a milestone on the road to democracy, but this is ironic, since he had defected from the Whig party in the 1830s out of dislike of the new politics created by the first Reform Act of 1832. He had a haughty aristocratic image, even before he inherited a famous earldom and a large Lancashire estate in 1851 to become the fourteenth earl of Derby. As Stanley (Lord Stanley from 1834), he had made a name for himself in the late 1820s as a dashing advocate of centrist Whig policies. As Chief Secretary for Ireland in Grey’s government of 1830 he established a board of national education for Ireland in 1831, but he took a strong line on the need to impose law and order there, and refused to treat with Irish leader Daniel O’Connell and his followers. He became Colonial Secretary in 1833 and took charge of the bill to abolish slavery, in response to mass, public petitioning. His strong views about the defence of law and Anglicanism in Ireland culminated in his resignation from the cabinet in 1834 over the proposal of Russell and others to redistribute some revenues of the Church of Ireland. Since this policy formed the basis of the new alliance between the Liberal party and O’Connell in 1835, Stanley and his followers were now shut out of progressive politics and moved towards Peel’s Conservative opposition. When Peel formed a government in 1841 he made Stanley Colonial Secretary, but there were fewer excitements in colonial policy than in the 1830s. In 1844 he asked to be given a peerage in his own right and transferred to the Lords as Baron Stanley, becoming Earl of Derby when his father died in 1851. This reinforced his increasingly apparent sympathy for the landed class. In 1845, when Peel proposed to repeal the protectionist corn laws, Stanley resigned from the government, arguing that ‘we could not do this as gentlemen’. The party split on the issue in 1846. His rank, his experience and his impressive powers of oratory ensured that he would be the leading figure in what remained of the Conservative party. By the early 1850s he accepted that free trade could not be reversed. He formed his first government in February 1852, but it had no majority in the Commons and fell in December. Having failed to get Palmerston’s support, it lacked experience and was nicknamed the ‘Who? Who?’ ministry (supposedly because the Duke of Wellington appeared not to recognise the names of the new ministers when they were announced). Derby was Prime Minister again for sixteen months in 1858-9 and passed important legislation for Indian government (after the Indian Mutiny of 1857) and to allow Jews to sit in parliament. Though the Conservative party gained seats at the 1859 election, it still lacked a majority and was defeated almost immediately. For the next six years Derby was content not to upset Palmerston’s government, thinking, correctly, that it would effectively check pressure for far-reaching change, and, wrongly, that it would not last long. 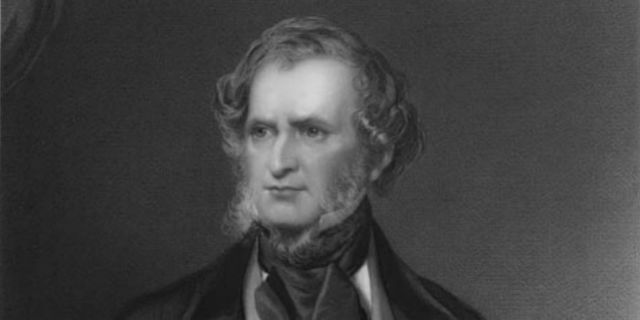 But when Palmerston died, it was clear that parliamentary reform could no longer be prevented, and when Russell’s government was defeated on the issue in 1866, Derby became a minority prime minister again, determined to settle the issue and to use it to improve the reputation of his party. Derby approved a Reform bill based on the principle of enfranchising in urban areas male heads of households who met certain criteria of ‘fitness’. In practice the details were dramatically amended in the Commons in the course of 1867, and most restrictions on household suffrage were removed as a result of the interplay of party tactics. Being in the Lords, Derby was less influential on the outcome than Disraeli, his leader in the Commons, but he still praised it, even while calling it ‘a leap in the dark’. However he was now very ill, resigned in February 1868, and died the following year.